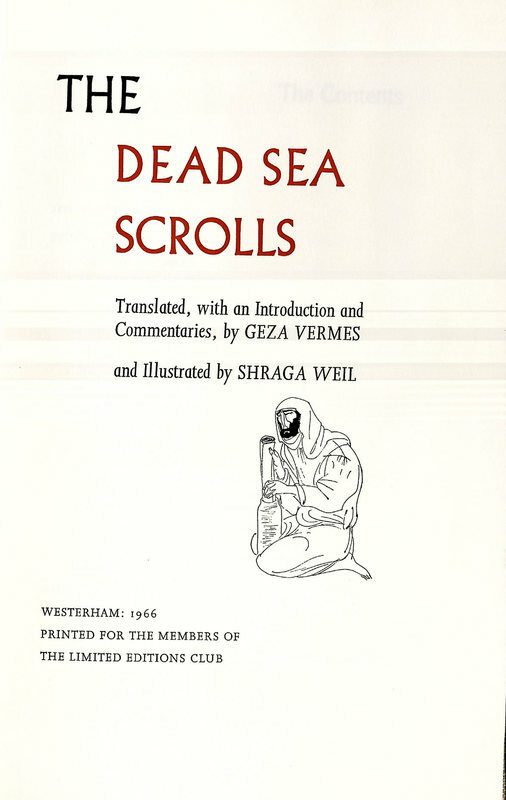 Translated, with an Introduction and Commentaries, by Geza Vermes; and Illustrated by Shraga Weil. [New York]: Limited Editions Club, 1966 [c1962]. This edition was printed by the Westerham Press in Westerham, Kent, England. ← Epicurus, born 341 BC, died 270 BC.